Oddly, the day after David Bowie died (see post below in the event you’ve been living in a media-free cave all week), my beloved cat, Bunny, had a stroke. She is not getting any better or worse, which isn’t saying much of anything, unfortunately. But she can hear, see, eat, drink, use her litter box. She just walks really, really slowly and sleeps 99.9% of the time. She can get up and down from the couch okay, but not my bed. I have to help her up and down from that. So sad, this process of letting go. She has been with me 14 years now. I am still not completely over losing her brother, Buster, to pancreatic cancer two years ago. I am just not ready to lose Bunny now, too. But, obviously, if she is contemplating departing this realm, we have to allow whatever is best for her. Maybe being with Buster again holds more of an appeal to her these days. Who really knows? I am still under 2 writing deadlines, so it’s been a rough week. 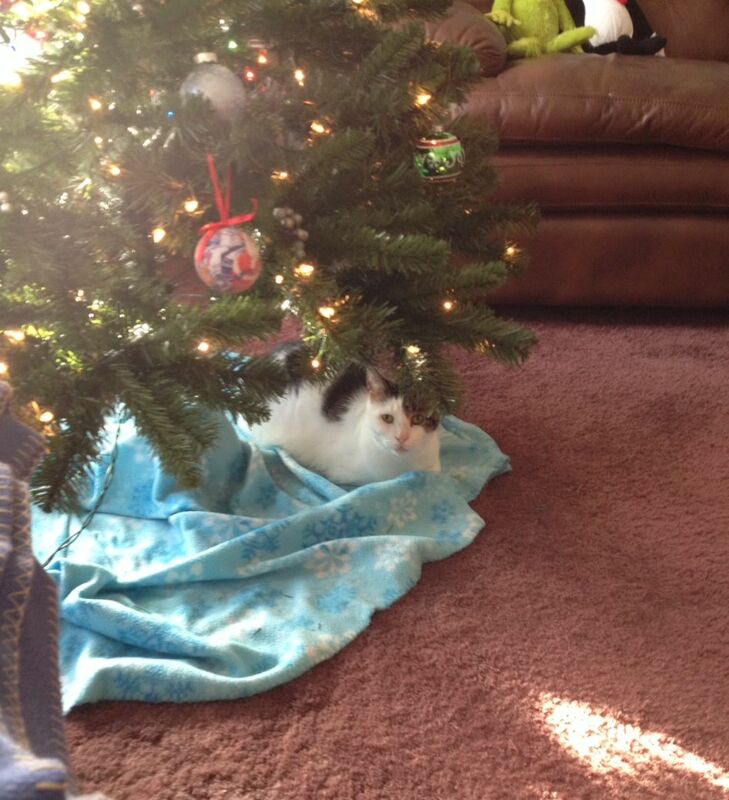 Here is Bunny a few weeks ago, just after the Christmas tree went up. All right, gang. Have a good Sunday, wherever you are. Previous PostVaya Con Dios, you amazing guy!Next PostSolfeggio Frequencies to the rescue!